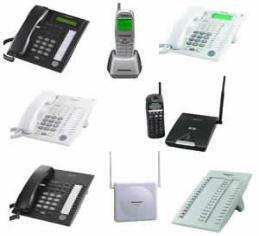 We sell, service and install many brands of business telephone systems in the St. Louis, St. Charles area. We provide Services for Chesterfield, Wildwood, O' Fallon, St. Louis, St. Charles, St. Peters, Wentzville, Lincoln, in MO. Belleville and many other Cites and Counties in Illinois. Eye Spy Electronics has over 20 years experience in the electronics field. We service about a 100 mile range of Saint Louis and Saint Charles Mo area. This depends on the scope of work. Please call if you have any questions about electronics and installation. While do provide installation, service many other brands, Most brands provide the same features but are priced at different levels. If you have questions on your access control please call or email Eye Spy Electronics for assistance. Panasonic KX-T824PK 3X8 Kit & 3 KXT-7731B 24 Btn Phs This may be discontinued at anytime without notice! Panasonic KX-TA824 kit with one (1) KX-TA824 control unit ready to handle up to 3 lines and 8 extensions expandable to 8 lines 24 extensions with three (3) KX-T7731B black system display telephones. Sorry, no substitutions on this one. Currently, this special is only available with black phones. Control unit comes with a built in Auto Attendant, built in 3 line Caller ID Card, and built in modem for off site programming. Programming software is included! 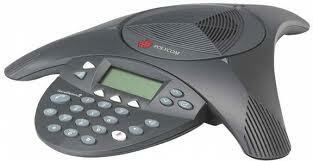 This system will also work with your telephone company's voice-mail service or a Panasonic Voice Processing System. Extremely simple to install and program. Contains many of the features of larger systems at a fraction of the price. All system features are built in. Uses standard 7700 series Panasonic System phones as well as industry standard single line telephones so you can still use your favorite cordless phone with this system. Provides integration with your local phone company's Call Waiting Caller ID and also provides system integration with your local phone company's voice-mail based services. Mitel 5120 IP Phone Full-duplex hands-free feature phone with 6 x 16 menu driven display, Message Waiting / Ringing LED, 16 programmable keys, 2-port Switch (for PC connection) and Headset port. Mitel 4110 Telephone – 8-button System Phone Digital telephone with eight programmable keys, data port, headset port and speaker. 16-button System Phone Digital telephone with 16 programmable keys, back-lit LCD display, and Direct Station Select (DSS) expansion connection for optional DS console. Mitel 4100 DDS Console 32-key DSS console (supported on the 16-button system phone only; limit 8 per system). Mitel 5601 DECT Phone 4 button Cordless System Phone 900 MHz digital interface cordless phone. Features include 4-line access, Caller ID, voice message indication, dedicated transfer, hold, redial and special buttons, 3 ring tones and vibrate. (Available in U.S. only) to the Mitel 3000 system to optimize communication needs. We have provided and installed electronics for Business Telephone systems for Commercial Government, Cities, Hospitals, Medical Centers, Retail, Education, Automobile Dealers, Restaurants, Storage, Parking Lots, Day Care, Manufacturing Facilities and More! Why Use the Panasonic KX-TDA50 Business Phone for Your Business For any business who would like to remain competitive and at par with other companies, an efficient telephone communication system is a must. The KX-TDA50 is a digital hybrid IP-PBX system that is designed for competitive businesses. It is from Panasonic, makes of innovative communication devices as well as electronic equipment that is recognized all over the world. The KX-TDA50 is small but efficient and offers room for innovation ideal for any growing business. A competitive business like yours needs the KX-TDA50 because of its great features: Compact and functional design Everything you need is right under your fingertips. Menu screen prompts to provide call information, speaker phones, programmable keys, navigation keys and a large backlit LCD display. Your employees need a system like the KX-TDA50 to increase their productivity and improve their efficiency no matter what department they are. Easy maintenance and programming The KX-TDA50 is equipped with a removable SD card where the system software and local database information are stored. All information that you need is found in this card so no matter what happens to the system or for any unforeseen catastrophic failure, all data is saved conveniently on the card. Maintenance is a breeze. Certified technicians from Panasonic will be able to perform maintenance through an onsite access and programming via PC. It may also be maintained via the web using an optional dial-up modem service. All the call features you need All the features that you have been looking for in an office PBX system plus more is found in the Panasonic KX-TDA50; an automatic callback busy function, system speed dialing, conference calls up to 3 parties, call forwarding, caller ID/ call logging, voice mail features, voice over IP systems and so many more. All these features provide the best advantage for your company among all others as well as the most cost-effective means to improve your business. Expand your business with ease Possibly what’s great about the KX-TDA50 is its capacity to expand together with your business. It has up to 8 trunk ports and about 28 extension ports. 4 voice processing system ports and wireless telephone expansion capabilities as well as 4 door phone systems for your business security. All Panasonic KX series phones work with the KX-TDA so if you already have these units, you can set up your new system without added cost, You and your employees will enjoy the versatility and the ease of use of this hybrid PBX system compared to using substandard phone intercom units. Stylish design And what makes the KX-TDA50 unique is that it has a functional and stylish design. The unit color matches most office interiors, has a 4-stage angle adjustment to allow flexible use in any location, a speakerphone system for hands-free calling and receiving calls and a headset jack for total hand-free control. Definitely everything that you are looking for in an office PBX system is in the Panasonic KX-TDA50 digital hybrid IP-PBX. Please contact our team Eye Spy Electronics for all your Telephone Systems questions!